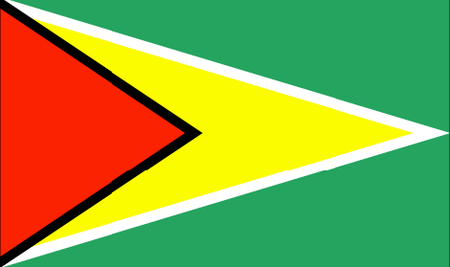 Guyana is situated in the far north of South America on the Atlantic coast, its neighbors being Brazil, Suriname and Venezuela. The country is one of the few in the Caribbean region where English is the main language, and one of only four in South America that are not Spanish-speaking; it is also one of the smallest in South America. The 800,000 Guyanese live mainly along the sea; the mountains and jungles of the interior are rather inhospitable. These natural features do however attract tourists with a taste for unspoiled nature and abundant native flora and fauna. The Caribbean culture here is rich in history, native arts and crafts and food, and the people are known for their openness to visitors. The economy is based on logging and agriculture, in particular sugar, though the mining, fishing and of course tourist industries also make significant contributions. When it comes to sports, the Guyanese prefer soccer, basketball and volleyball (especially the beach variety). Golf is little known in Guyana, though there is in fact a single course. 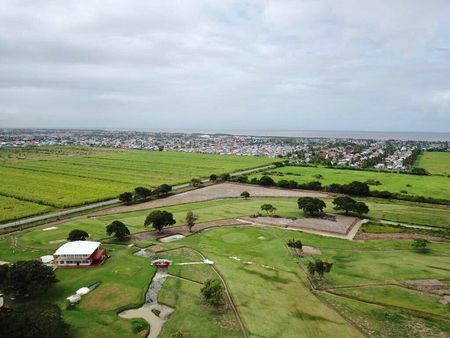 Located in the small town of Lusignan, 10 miles outside the capital of Georgetown, Lusignan Golf Club has a 9-hole layout that can be played as a par 70 course. In 2012, the club inaugurated its first President's Cup Tournament, which was heavily promoted by the country's tourism bureau.